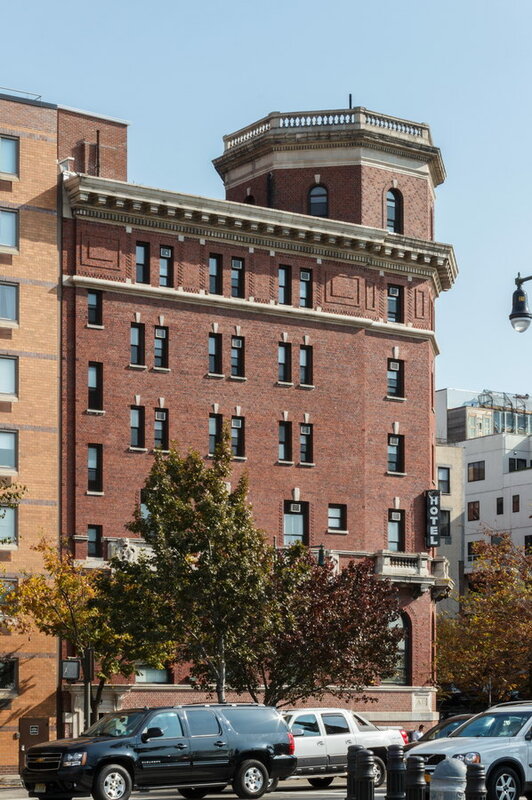 February 20, 2015 Manhattan113 Jane Street, 1908, American Seamen's Friend Society Sailors' Home and Institute, commercial, Greenwich Village, historic, hotel, landmark, lower manhattan, Manhattan, neo-Classical, New York City, William A. Boring. 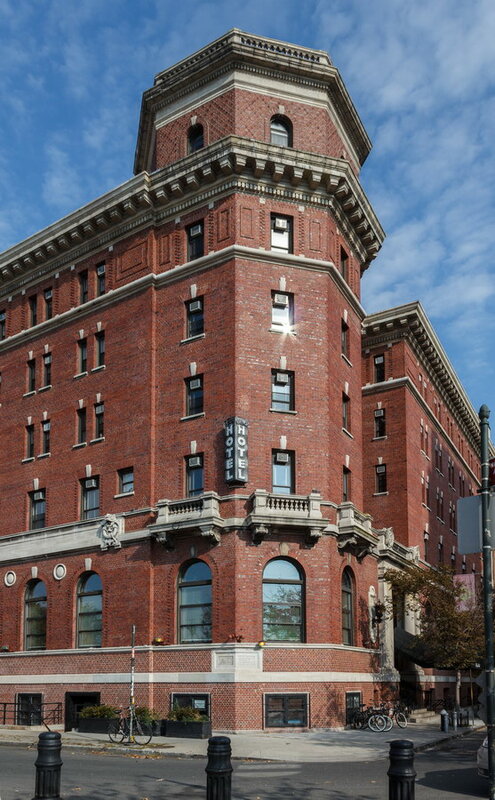 Jane Hotel, built in 1908 as the American Seamen’s Friend Society Sailors’ Home and Institute, once hosted Titanic survivors. It was designed by William A. Boring, who was also the architect for Ellis Island’s immigration station. 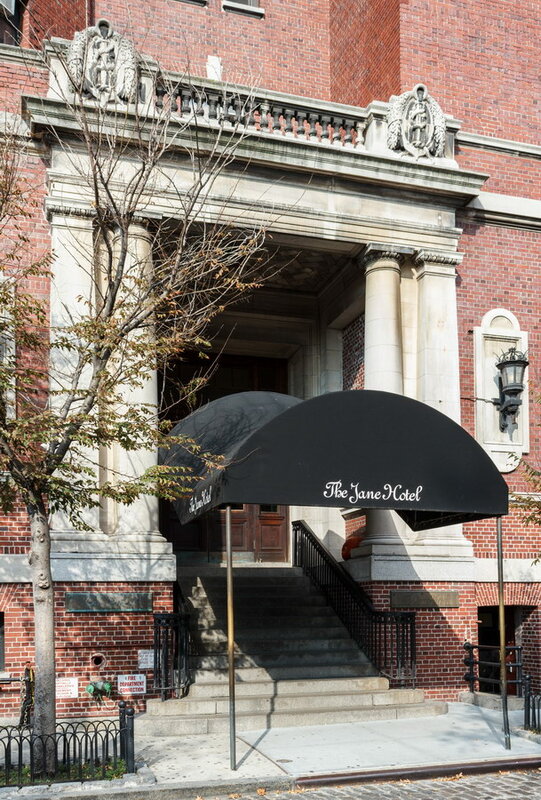 Restored in 2008, the Jane Hotel now hosts financial survivors – in tiny rooms with shared bath priced as low as $79 per night. The distinctive octagonal tower originally had a beacon, to welcome sailors. The beacon is gone, but other nautical connections remain. For starters, Jane Hotel rooms are called cabins. How tiny? A “remarkably cozy” 50 square feet. Some with bunk beds. The New York Times quipped, Popeye Slept Here and Now Olive Oyl Can, Too. 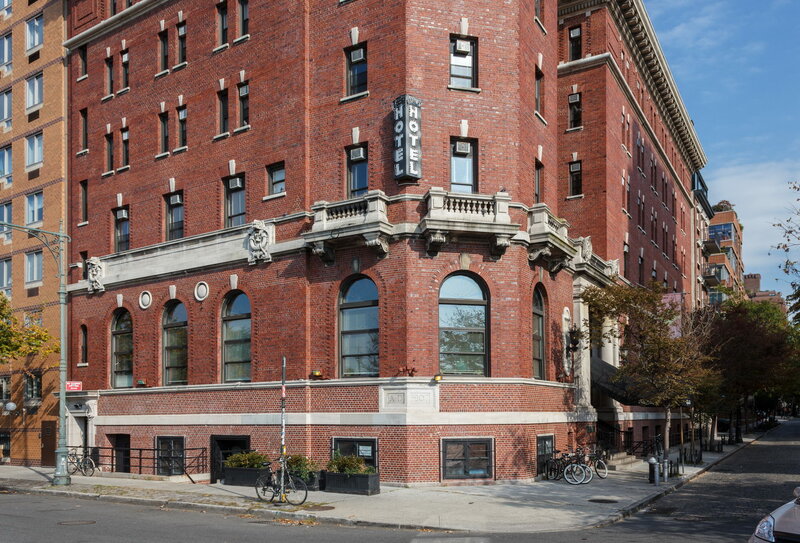 the developers, Sean MacPherson and Eric Goode, also run the Maritime Hotel – a former sailor’s hostelry run by the National Maritime Union. 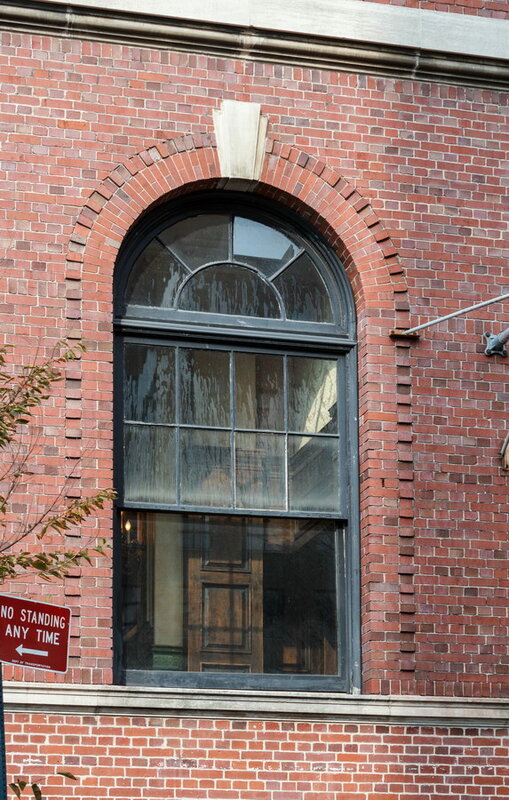 In the 1970s and until 2005, the Jane Street Theater called this home.